When Rachel was about twelve years old she wrote a book. Little did she know, that book would eventually become published. Her book was published this past summer, but the journey to becoming a published author tarted about a year ago when she was introduced to a publishing company and they had an author take a 'read' of Rachel's book. The author was impressed and encouraged the publisher to work with Rachel to publish the book. 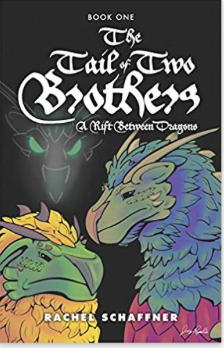 Rachel's book, The Tail of Two Brothers: A Rift Between Dragons, is now available on the Amazon and Barnes & Noble websites. Rachel was invited to speak at the "Gathering of Authors" on September 27th, 2018. Rachel will be the yougest author to ever be invited to present at this event. Click HERE to read the Tribune Review article on the Gathering of Authors!